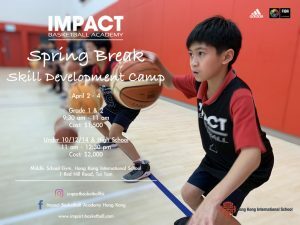 Work on your game during the fall break! 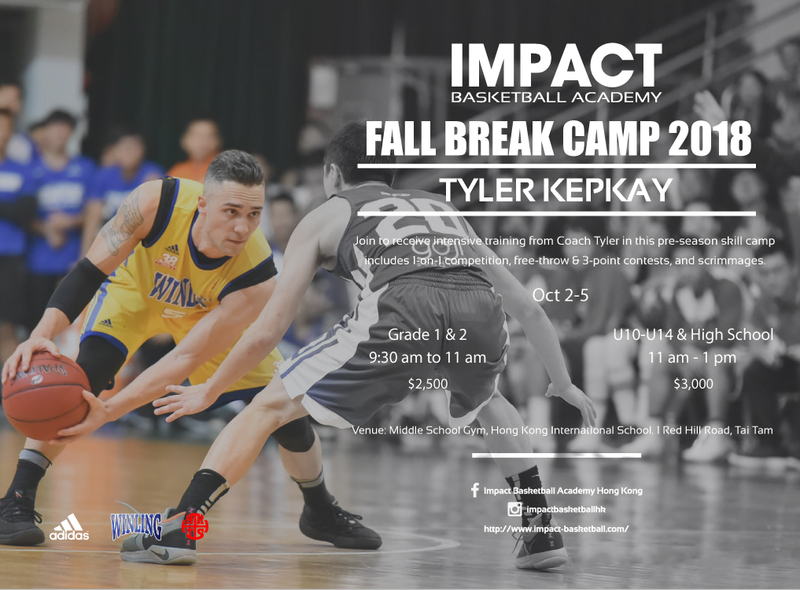 Get yourself in top basketball shape with Coach TYLER KEPKAY and be ready for this new season! 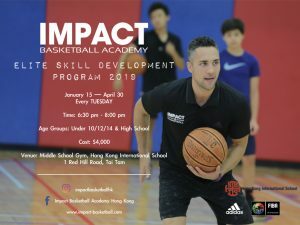 Venue: Middle School Gym, Hong Kong International School. 1 Red Hill Road, Tai Tam. adidas prizes will be presented to contest winners and outstanding players. 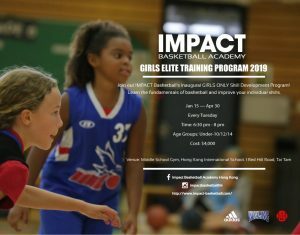 Every player will also receive an IMPACT Camp T-shirt and a Personalised Highlight Video.